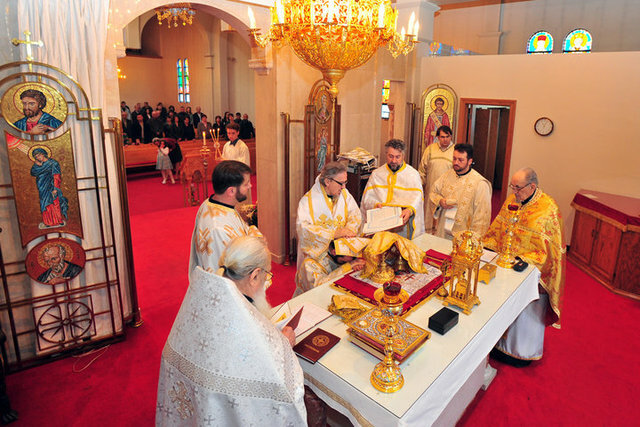 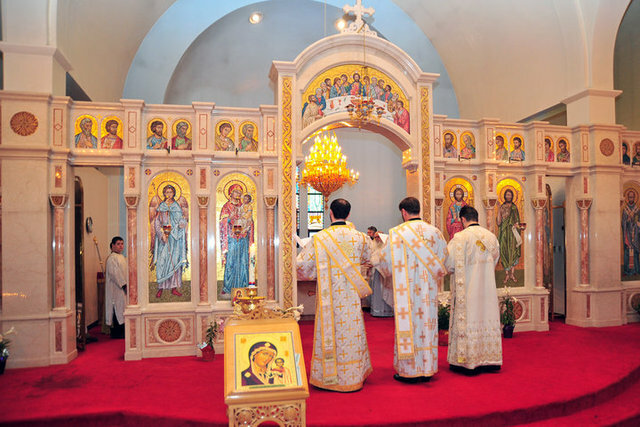 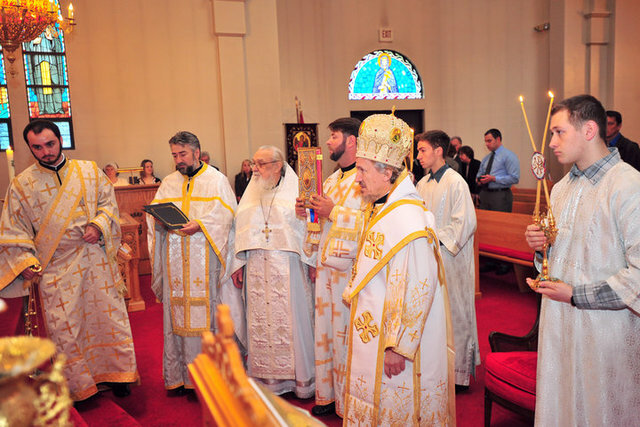 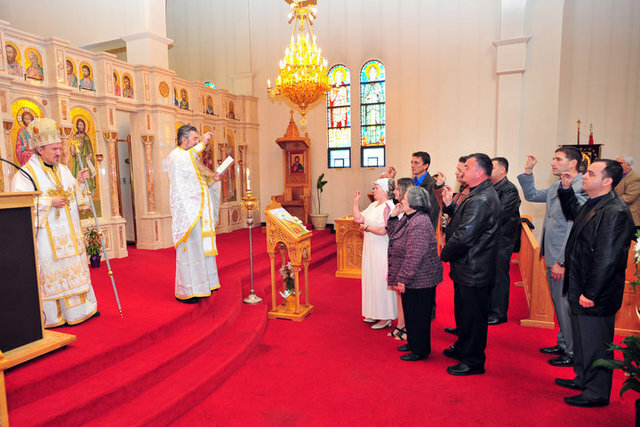 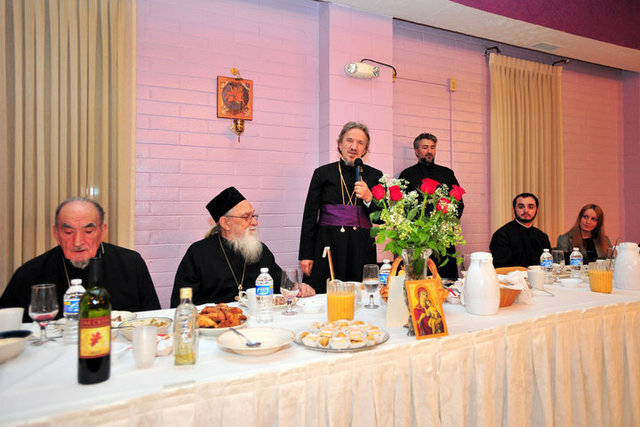 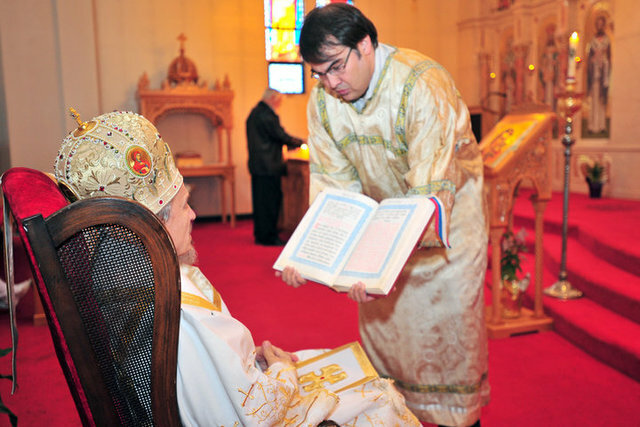 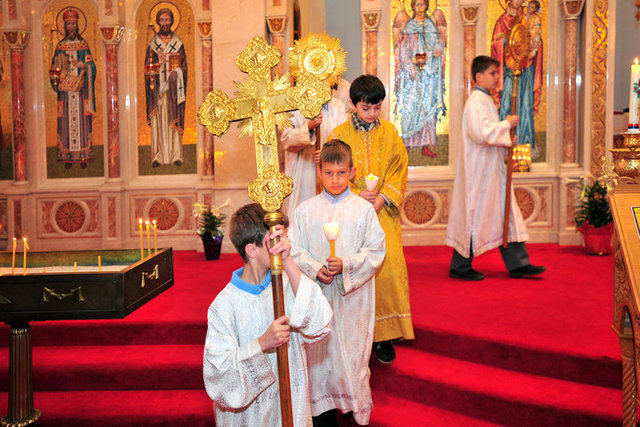 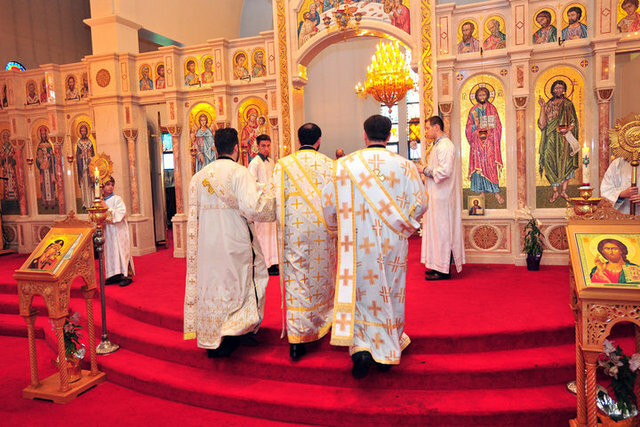 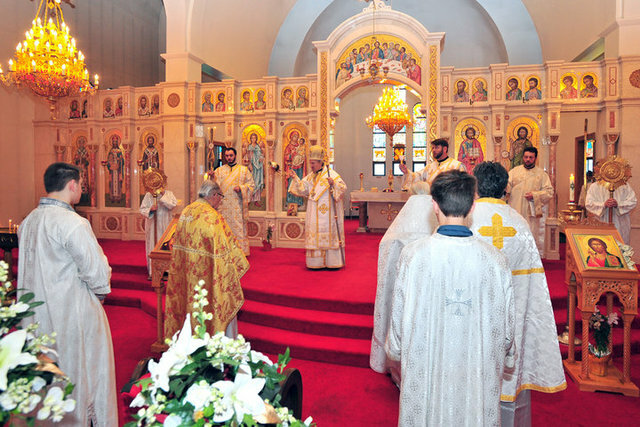 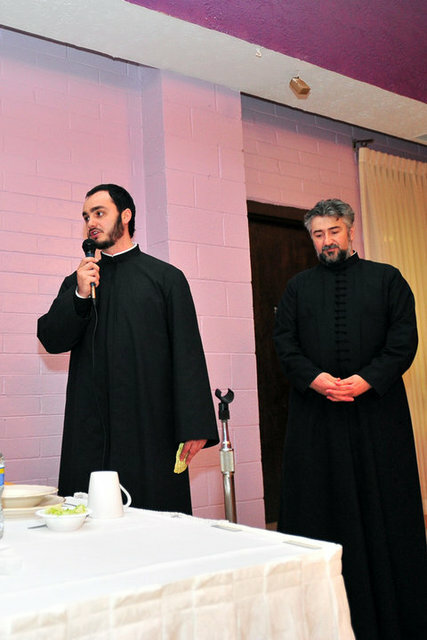 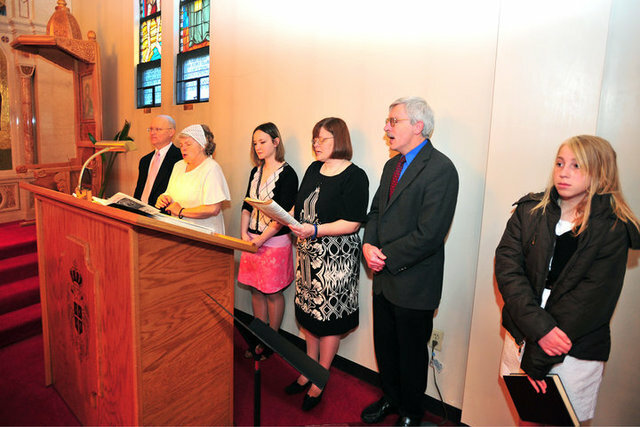 Akron, OH - His Grace Bishop Mitrophan of Eastern America officiated at the Holy Hierarchical Divine Liturgy at St. Archangel Michael Serbian Orthodox Church in Akron, Ohio on Sunday, April 18, 2010, the Sunday of the Holy Myrrhbearing Women. 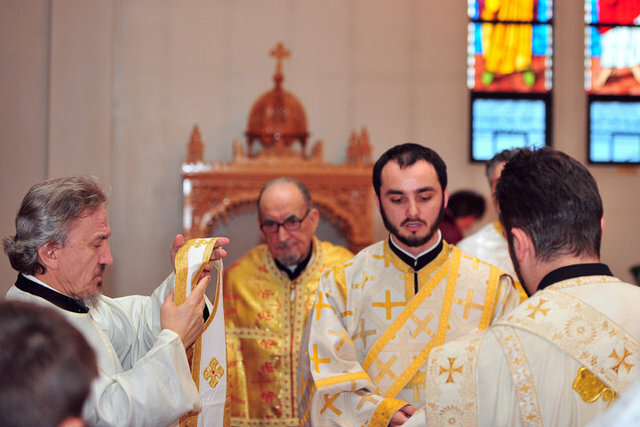 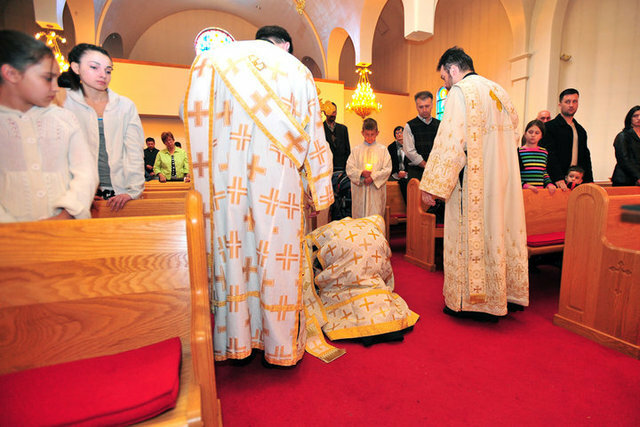 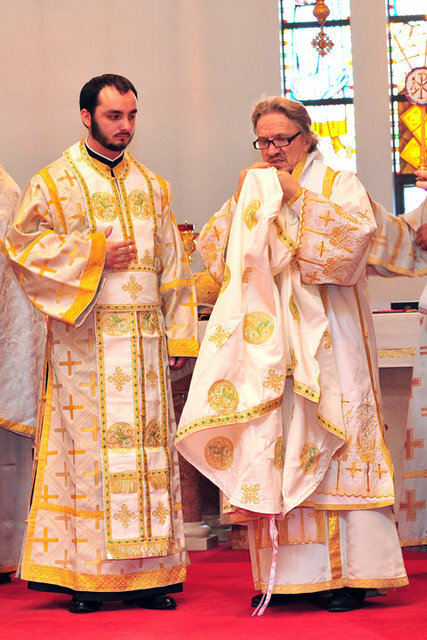 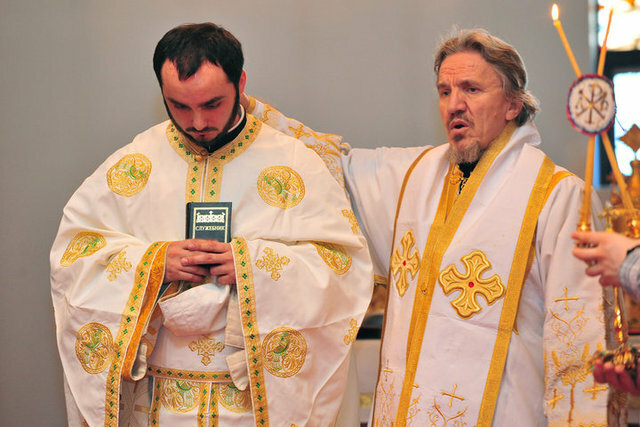 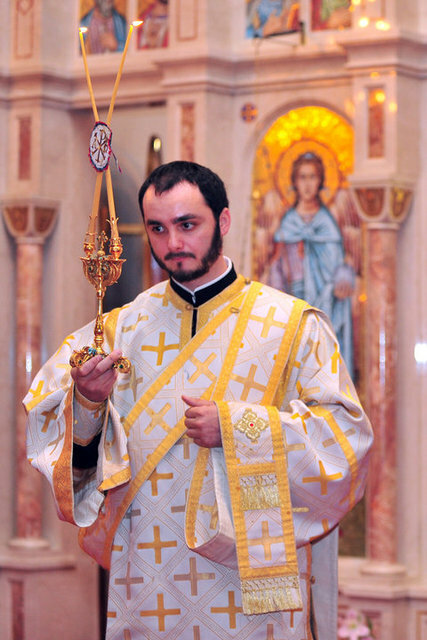 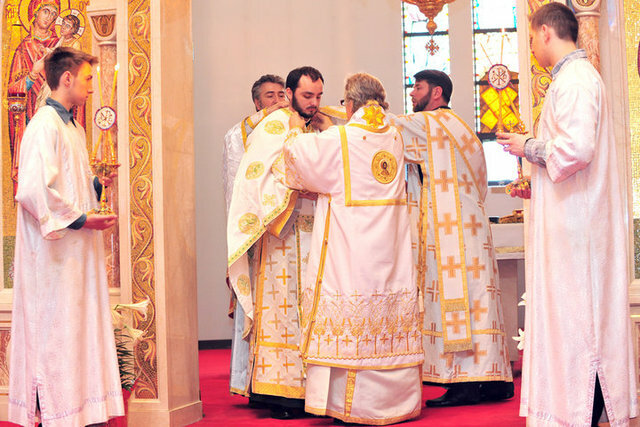 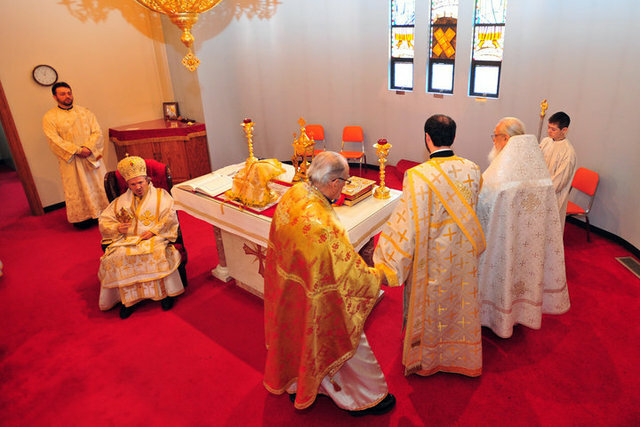 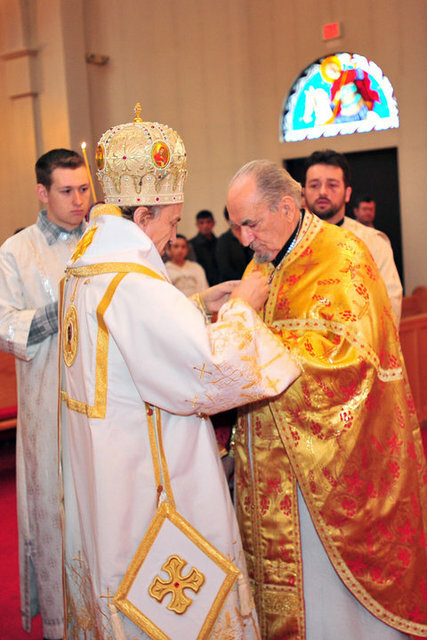 His Grace the bishop ordained Deacon Milos Markovic to the holy priesthood during the service. 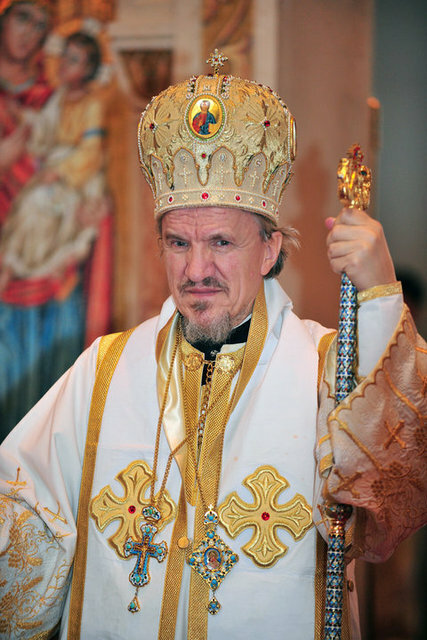 Also, V. Rev. 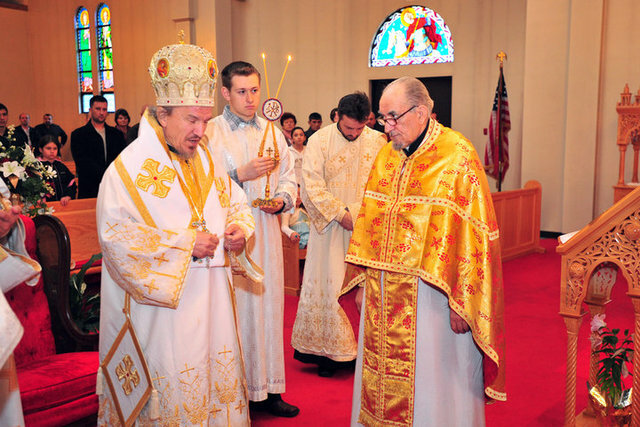 Zvonimir Kotorcevic, the former parish priest of the Akron parish, was elevated to Protojerej-Stavrophor. 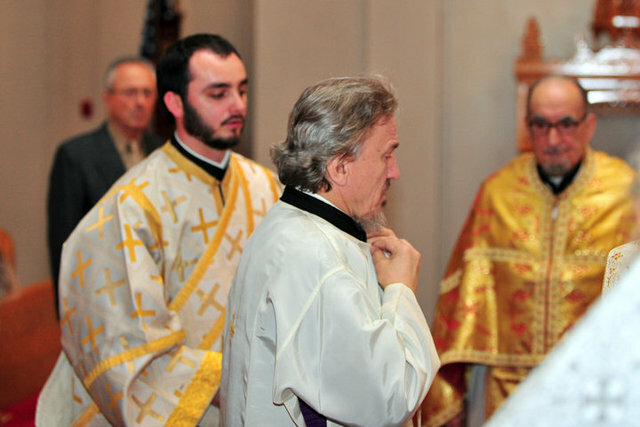 Following the service the parish priest, V. Rev. 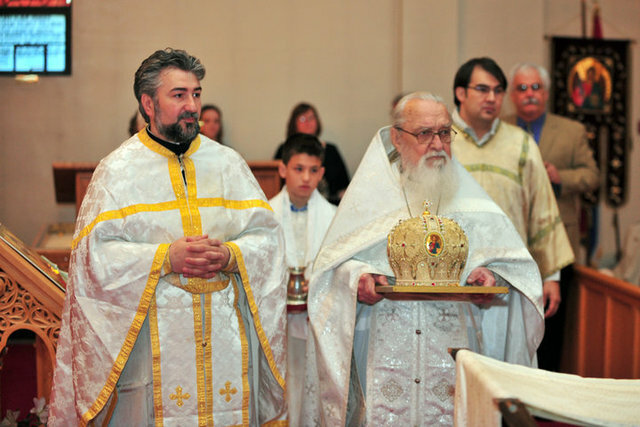 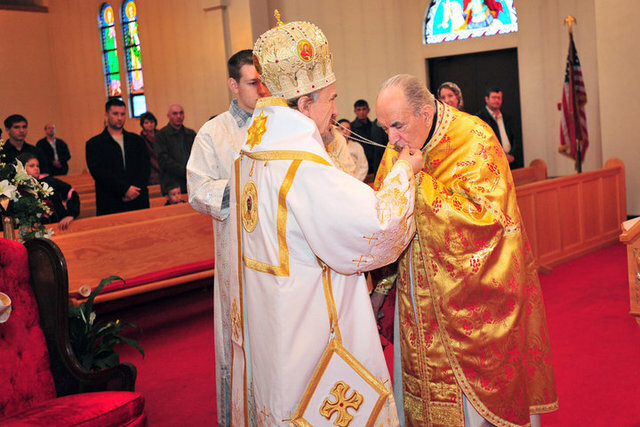 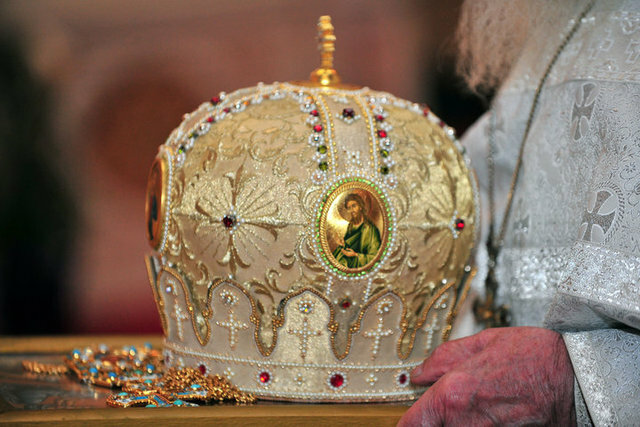 Dragomir Tuba, swore in the new members of the church board.